For a better understanding of the clathrate stability and their dynamics we investigate the proton motion on the cage lattice using a variety of methods. Particular attention is paid to thermodynamically required, i.e., unavoidable as well as intentionally introduced lattice defects. 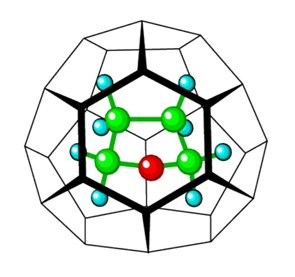 The study of the dynamics of guest molecules allows us to explore the interactions of the guests with the clathrate lattice and with each other. Detailed insights into the properties of these materials can be achieved by a variation of the host molecules, of the guest molecules, and of the overall cage filling. Clathrate host networks are related to ice phases in several aspects. In both substance classes phase transitions into proton ordered phases we observed via introduction of lattice point defects. We detect not only these transitions. We also determine the corresponding order parameters and explore the microscopic origins of these ordering phenomena with a particular emphasis of the common features in ice and clathrates. The structure and dynamics of numerous liquids and solids are governed by the presence of hydrogen bonds. 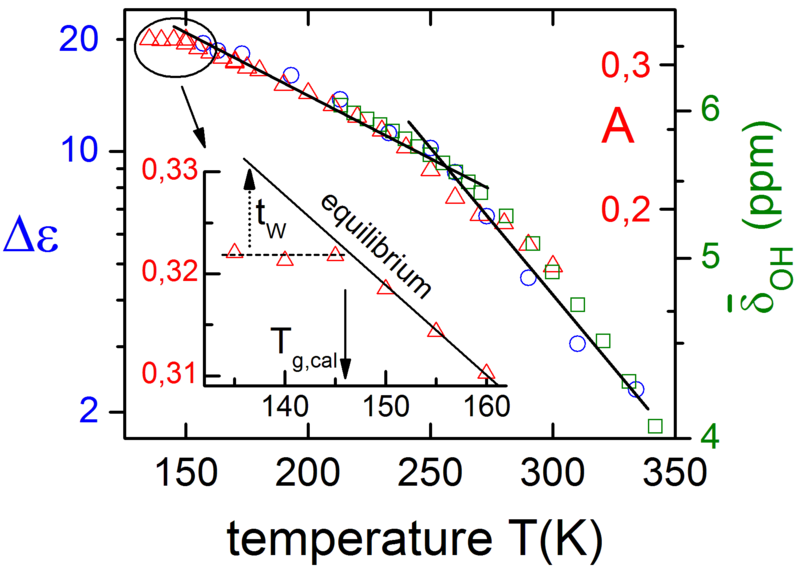 These thermally relatively unstable bonds play an important role in many complex biophysical processes and, for instance, lead to water's prominent microwave absorption. Water exhibits one of the simplest molecular structures, yet it is the liquid with the most complex phenomenology and the largest number of surprising anomalies. The presence of hydrogen bonds favors the formation of supramolecular structures also in liquids like monohydroxy alcohols and secondary amides. However, the microscopic dynamics and the spatial configuration of these suprastructures are still matters of stimulating scientific debates. 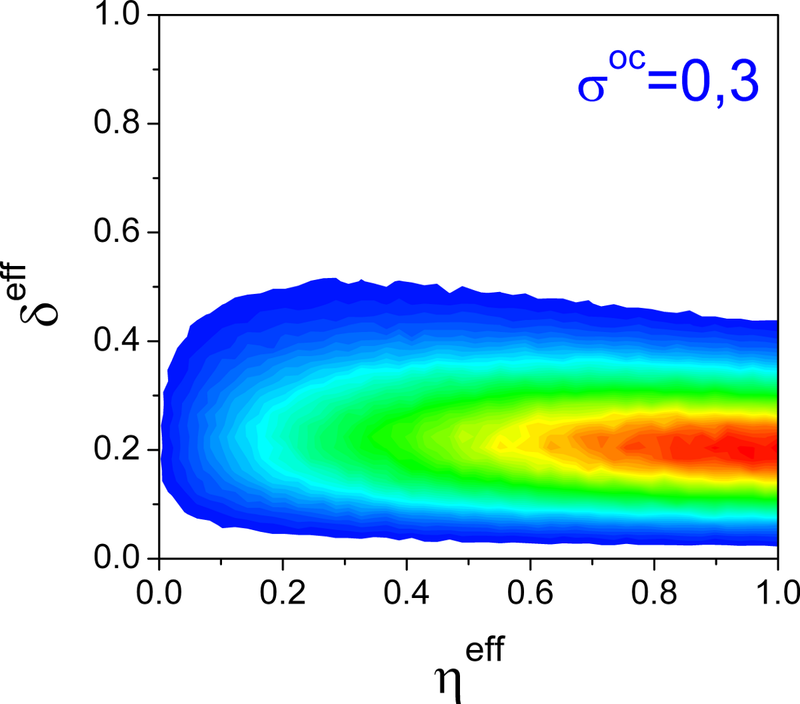 Recently, by combining known observations with novel experimental approaches our group devised the 'Transient Chain Model' for this type of liquids in order to explain the results so far puzzling obtained with dielectric spectroscopy and many other techniques. elucidate the differences and similarities in the nature of amide-NH and alcohol-OH bonding mechanisms. Overall, our efforts are directed at a better understanding of hydrogen bonds in general, a fundamental concept of condensed matter physics. How many hydration shells wrap these protein chains? To what extent does this number depend on the protein chemistry, on the protein conformation or the hydration level? How different is the dynamics of the bounded water with respect to the one of the free water? Is it possible to suppress the contribution of the latter experimentally while preserving the contribution of the first? Which characteristics of the dynamics survive when water is at least partially replaced by other solvents? One of the solvents we study in our group is glycerol which some animals use for cryo-preservation. 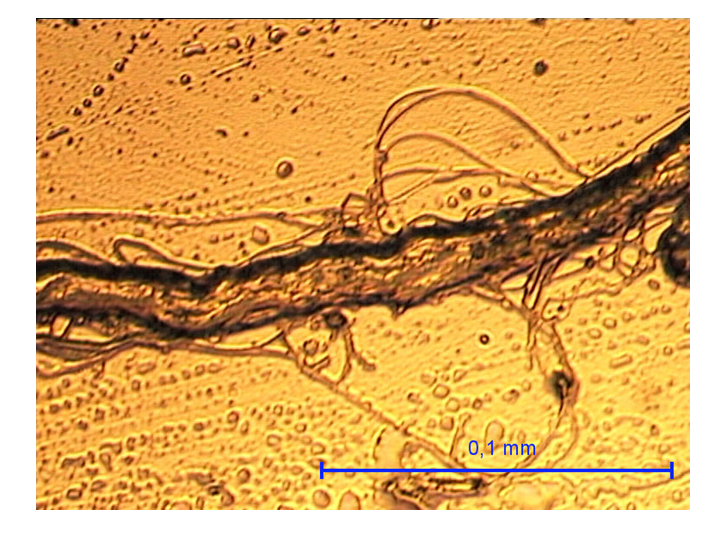 The photo presents collagen fibers in water and is taken with an optical microscope in our lab.